William Brown was pronounced dead on January 29 after undergoing a medically induced coma at a Fort Worth hospital, the Tarrant County Medical Examiner’s office confirmed to CNN. The incident occurred right outside of a vaporizer store two days before Brown died. The pen exploded when Brown tried to inhale from it for the first time, with a piece slicing through his carotid artery, getting lodged in the vital passageway, which helps send blood to the brain. 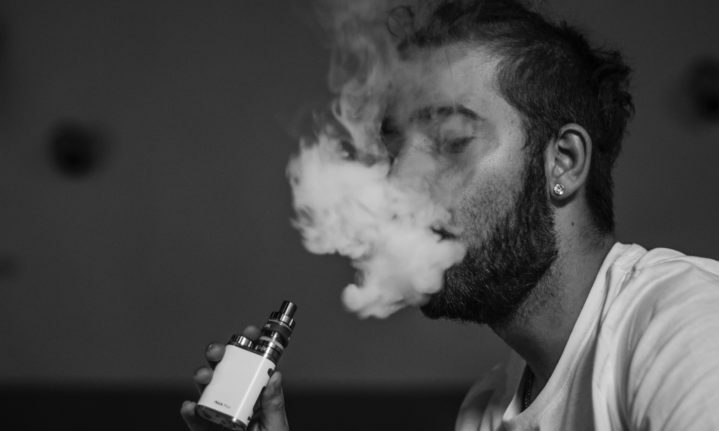 Some of the details surrounding the faulty vape pen are unclear: Brown’s grandmother claims he purchased the pen at the store, while the store’s owner claims he made no purchase, he merely inquired for help about using his new pen. According to local CNN affiliate KTVT, the vape store owner called an ambulance for Brown, who was just two weeks shy of his 25th birthday when he was pronounced dead. He was reportedly found on the ground near the trunk of his car, with blood-soaked across the interior. The medical examiner ruled Brown’s death as a result of “penetrating trauma from an exploding vaporizer pen,” the Texas Star-Telegram reports. Brown’s grandmother Alice told the paper that her grandson was not a regular smoker, but was considering whether the particular vape pen could help him with his asthma. Brown’s death calls to attention the worrying trend of dangerous and potentially life-threatening accidents with e-cigarettes. A Florida man was killed last May when an e-cigarette exploded, shooting debris into his head. Because the industry is still so young, there’s little definitive research on how many deaths and injuries e-cigarettes have caused. However, a Federal Emergency Management Agency report from 2017 notes that “195 separate incidents of explosion and fire involving an electronic cigarette were reported by the U.S. media” between 2009 and 2016, and 133 of the incidents resulted in “acute injuries” to various people.